Allison Hoover Bartlett is the author of the national bestseller, The Man Who Loved Books Too Much: The True Story of a Thief, a Detective, and a World of Literary Obsession (Riverhead Books). She has written on a variety of topics, including travel, art, science and education, for the New York Times, the Washington Post, San Francisco Magazine, and other publications. Her original article on book thief John Gilkey was included in the Best American Crime Reporting 2007, and the book was selected for Barnes and Noble's "Discover Great New Writers" program. 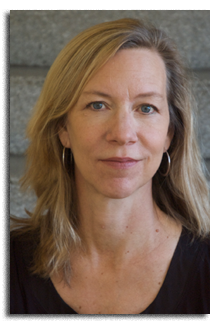 Bartlett is a San Francisco Library Laureate, serves as on the jury for the California Book Awards, and is a co-founder of North 24th Writers. She and her husband have two children and live in San Francisco.